Tickets. 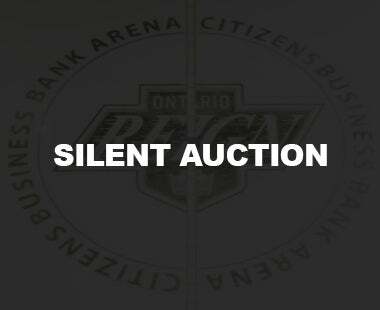 This Agreement grants you a revocable license to use the seats listed in the attached invoice for all 2018-19 AHL preseason and regular season games played by the Reign at the Citizens Business Bank Arena in Ontario, California (the “Arena”). 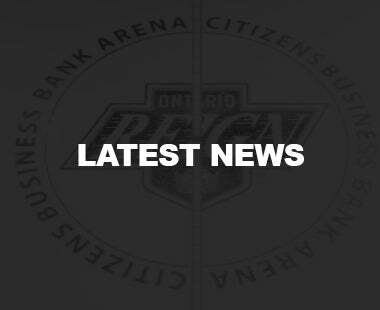 Provided that Licensee is not in breach of its obligations under this Agreement, this Agreement shall also grant you the licensed use of the Seats for all Calder Cup playoff home games that may be played by the Reign at the Arena while this Agreement remains effective at a price and on terms and conditions designated by Licensor in its sole discretion. Any use of the Seats for such Calder Cup playoff home games by Licensee shall be subject to the same terms and conditions of this Agreement. Your tickets do not give you any property interest in the Reign or the Arena.The Reign may revoke your season tickets and terminate this Agreement and your ALL-IN membership at any time, for any reason, in our sole and absolute discretion.For example, we may revoke your season tickets if you fail to make payments when due, violate this Agreement, or violate Arena policies. Although our standard policy is to allow ALL-IN members to renew their season tickets each year in the same seat location, we are not required to do so. We reserve the right to relocate your seats. If we do so, you may terminate this Agreement by delivering us written notice of your intent to terminate this Agreement, which such noticed delivered within thirty (30) days of receipt of notice that your seats have been relocated. 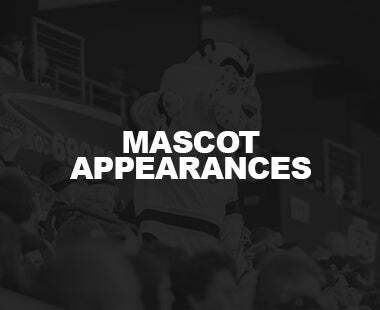 You acknowledge and agree that the Reign and/or the AHL may cancel, postpone, reschedule or relocate games for any reason, for example, by moving a Reign regular season game from the Arena to an alternate venue for a special event, as determined in their sole discretion. 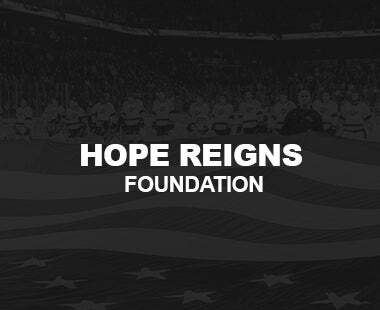 You also acknowledge and agree that the Reign and/or the AHL may modify or discontinue, temporarily or permanently, any aspect of the rules, operations and presentations of AHL games and events. By submitting an APA, you understand that you are authorizing the Reign to charge your Card and/or Account (as those terms are defined in the APA), to pay the License Fee and any other amounts owing under this Agreement in accordance with the payment plan option you selected. Playoffs. 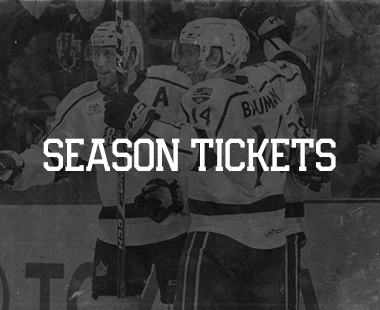 As an ALL-IN Member, you will be charged for your seat(s) as the Reign advance through the Calder Cup playoffs. For example, if the Reign make the playoffs in 2018 and the first round has three home games, as an ALL-IN member you will be charged per seat license fee (designated by Reign) per each of the three (3) playoff home games played at the Arena. In the event and at the time that the Reign advance to subsequent rounds you will be charged the designated license fee for the maximum number of home games the Reign could play in each round. If, for any reason the Reign do not play a scheduled playoff game for which you have prepaid under the provisions of Section 2(F) above, you will be entitled to refund of the License Fees attributed to such unplayed playoff games (“Playoff Refund”). You may elect to have this Playoff Refund, as applicable applied to your first License Fee payment due for the next AHL season, or paid to you within 60 days after the current season ends. However, if you do not elect to apply the Playoff Refund to your License Fee, the Reign cannot guarantee your seats will be available to you in the next AHL season. The Playoff Refund shall be your sole and exclusive remedy for any unplayed games. Default. If you fail to pay any sums owing under the Agreement, fail to submit a completed APA by the applicable due date, or fail to make a partial payment by the applicable due date, the Reign may terminate this Agreement and sell your tickets to another party without further liability to you. Subject to the Arbitration Provision below, the Reign may use all legal rights of enforcement, such as sending your account information to a collections agency or initiating arbitration. If the Reign prevail in an action or arbitration proceeding to enforce this Agreement, you will pay the Reign’ reasonable costs of collection, including attorneys’ fees, and court costs, to the extent permitted by applicable law. Abatement. If the Reign do not play a scheduled preseason or regular season game at the Arena for any reason, or if your seats cannot be used at such a game (e.g., if they have been seriously damaged in an earthquake), you will be entitled to an Abatement. The Abatement shall be calculated by multiplying the total License Fee by a fraction, the numerator of which is the number of unavailable games and the denominator of which is the total number of scheduled Reign home games during the preseason and regular season. You may elect to have this Abatement applied to your first License Fee payment due for the next AHL season, or paid to you within 60 days after the current season ends. However, if you do not elect to apply the Abatement to your License Fee, the Reign cannot guarantee your seats will be available to you in the next AHL season. The Abatement shall be your sole and exclusive remedy for “lost games”. For any other default by the Reign under this Agreement, you may seek damages available under applicable law, but the Reign will not in any event be liable for damages (including any costs and attorneys’ fees) greater than the License Fee paid by you under this Agreement. Access. A valid ticket is required to enter the Arena to view a Reign game. A valid ticket, may include without limitation, a physical printed ticket, an electronic ticket delivered via Flash Seats or such method of delivery as determined by the Reign. No ticket holder will be permitted to enter the Arena if his or her ticket was lost, stolen, or otherwise misplaced. 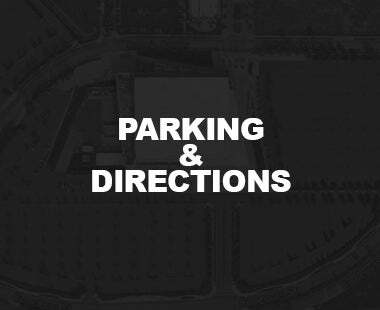 Each ticket allows access only to the seat listed on the ticket during the game listed on the ticket, and areas within the Arena the Reign open to the holder of that ticket. Ticket holders are not entitled to access any other parts of the Arena. Tickets should be retained throughout the game to allow your seat location to be verified. Once you have entered the Arena, you will not be permitted to leave and re-enter. YOUR PERSON AND YOUR BELONGINGS MAY BE SEARCHED UPON ENTRY INTO THE ARENA. BY PRESENTING YOUR TICKET AND ENTERING THE ARENA, YOU AND EACH GUEST CONSENT TO SUCH SEARCHES AND WAIVE ANY AND ALL RELATED CLAIMS THAT YOU MIGHT HAVE AGAINST THE REIGN, THE AHL, ITS MEMBER CLUBS, ITS AFFILIATES, AND/OR ITS AGENTS. IF YOU ELECT NOT TO CONSENT TO THESE SEARCHES, YOU WILL BE DENIED ENTRY INTO THE ARENA. Conduct. You and all persons who use your season tickets and/or ALL-IN Member benefits (“Guests”) shall conduct yourselves appropriately at all times and comply with all applicable laws, Arena policies, and directions of governmental authorities and Reign or Arena personnel. You and your Guests agree to comply with all policies, rules, and regulations established from time to time by the Reign in their sole discretion. If you or your Guest(s) violate any of these policies, rules, regulations, or directions, the Reign have the absolute right to eject you and your Guest(s) and/or terminate this Agreement. You and each of your Guest(s) agree to indemnify, defend, and hold harmless the Reign, the Arena, the AHL, and each of their agents, employees, owners, partners, trustees, and related entities, from any and all claims, demands, liabilities and/or damages arising from your conduct or omissions and/or the conduct or omissions of your Guest(s) during any Reign game or event. You shall not mar, deface, or otherwise damage the seat(s) associated with your tickets, or any other Arena property. You shall be responsible for and shall reimburse the Reign for any and all costs for repairs to your seat(s) that are not the result of normal wear and tear. No Advertising. 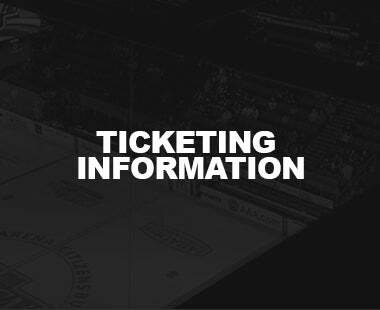 No one may use your ticket(s) to enter the Arena or otherwise use your ticket(s) for advertising, promotion or other commercial purposes, including without limitation contests, sweepstakes, and giveaways, without the express written consent of the AHL and the Reign. Resale of Tickets. 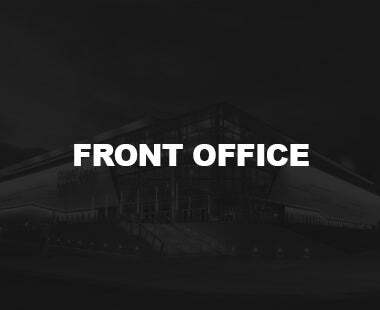 You acknowledge that it is unlawful to sell or resell tickets on Arena or adjoining property without written permission as may be required by any City of Ontario Municipal Code or California state law. Violation of any such ordinance or the resale of tickets in violation of state law (California Penal Code § 346) may result in fine, imprisonment or both. You acknowledge and agree that your ticket resale, transfer, or trade activity may be monitored and tracked by the Reign. In the event that you (1) sell, attempt to sell, or engage a third party to sell on your behalf, a substantial portion of your season tickets, or (2) the Reign determine that you have purchased season tickets for the primary purpose of financial gain or benefit, the Reign reserve the right to terminate this Agreement immediately upon written notice to you. In the event your season tickets are terminated for this reason, the Reign will provide you with written notice of such election, and will refund any pre-paid portion of the License Fee for which you have not received a benefit. However, and without limiting any of our rights or remedies in connection with any such breach, you shall be obligated to pay (and the Reign may retain) that portion of the License Fee which relates to Reign games which occurred before exercise of these termination rights. Risks Assumed/Waiver of Liability. By entering into this Agreement, you voluntarily assume all risks and dangers incident to attending hockey games and the other events you are permitted to attend as a season ticket member, whether such risks and dangers occur before, during, or after the game or event. Such risks and dangers include, but are not limited to, any and all personal or property injury or death caused by or related to contact or interactions with hockey pucks, hockey sticks, or other game equipment, players, vendors and other persons attending or near the game or event. 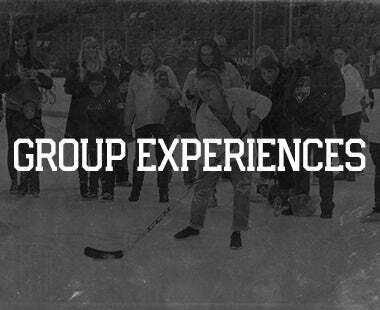 You agree that the Reign, Ontario Reign Hockey Club, LLC, the AHL and all of its member clubs, Anschutz Entertainment Group, Inc., Arena owner, and each of its and their respective employees, players, officers, directors, members, partners, owners, affiliates, sponsors, contractors, and other agents shall not be responsible or liable for any loss, damage or injury, including consequential or indirect damages, from such causes. If you are injured, ask the nearest usher for help and directions to a first aid station. If you or your Guests bring a minor to a game or other event, you and/or your Guests shall be deemed to have given all of the foregoing grants of rights, releases and waivers on behalf of such minor(s) as their parent or guardian or as the authorized agent of their parent or guardian. If you or your Guest(s) do not wish to or are not authorized to grant such rights, releases and waivers on behalf of the accompanied minor(s), you and/or your Guest(s) should immediately leave the Arena or other event venue with the minor(s). Contacting You. You authorize us and our affiliates, agents, representatives, assigns and service providers (collectively, the “Messaging Parties”) to contact you using automatic telephone dialing systems, artificial or prerecorded voice message systems, text messaging systems, email, or any similar methods then in use and automated email systems in order to provide you with information about this Agreement and your season tickets and related benefits, including information about payments and games. You authorize the Messaging Parties to make such contacts using any telephone numbers (including wireless, landline and VOIP numbers) or email addresses you supply to the Messaging Parties in connection with this Agreement, your season tickets, or any other matter. You understand that anyone with access to your telephone or email account may listen to or read the messages the Messaging Parties leave or send you, and you agree that the Messaging Parties will have no liability for anyone accessing such messages. You further understand that, when you receive a telephone call, text message or email, you may incur a charge from the company that provides you with telecommunications, wireless and/or Internet services, and you agree that the Messaging Parties will have no liability for such charges. You expressly authorize the Messaging Parties to monitor and record your calls with the Messaging Parties. You understand that, at any time, you may withdraw your consent to receive text messages and calls to your cell phone or to receive artificial or prerecorded voice message system calls by calling the Reign at 909-941-7825 (or any subsequent number the Reign provide to you), sending an e-mail to: [email protected] or by writing to the Reign at 901 Via Piemonte, Suite 370, Ontario, CA 91764. To stop text messages, you can also simply reply “STOP” to any text message the Messaging Parties send you. To stop emails, you can follow the opt‐out instructions included at the bottom of the Messaging Parties’ emails. You agree to continue to license the use of the seats associated with your tickets under this Agreement for each AHL season and playoffs after the current AHL season and playoffs ends, unless and until this Agreement is terminated in the manner described below. This means that you are obligated to pay the License Fee to the Reign for every AHL season and playoffs after you enter into this Agreement unless you tell us otherwise. 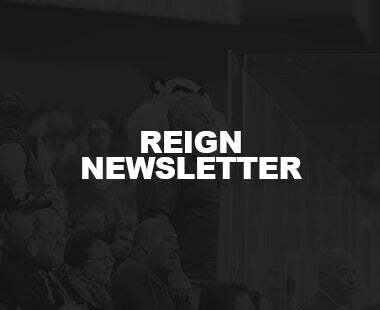 Automatic Renewal Cancellation Policy: No later than thirty (30) days following your receipt of the annual invoice provided before each AHL Season, you may terminate this Agreement by calling 909-941-7825, in person at the Ontario Reign Offices, sending an e-mail to: [email protected], sending a letter to the current Reign Office Location or completion of the cancellation form in the All-In Member Opt-Out Form. In the event you timely terminate this Agreement, you will not be obligated the License Fee AHL season indicated on the invoice, but shall not be entitled to any refund for installment payments made prior to the cancellation. Authorization for Scheduled Payments, Dishonored Check Fees, and Late Fees. You authorize the Reign (which, for purposes of this Payment Authorization, includes our service providers, agents, and assignees) to seek payment of each amount due under the Agreement (as modified herein or in any subsequent written agreement) on or after each payment due date, less any partial prepayments or other credits, by, at our option, either: (a) initiating an electronic debit to the deposit account specified below or in the Reign’ online ticketing system, or any subsequent or additional deposit account(s) you provide to the Reign (your “Account”) (each electronic debit, an “EFT”); or (b) initiating a charge to the credit card specified below, in the Reign’ online ticketing system, or later provided to the Reign by you (your “Card”) (each charge, a “Charge”). If you have provided multiple payment cards or deposit accounts to us, and in the event a payment that we attempt to collect fails, you authorize us to attempt to collect such payment by initiating one or more payment attempts to any additional payment cards or deposit accounts that you have provided to us. If any Card or Account that you have previously provided to the Reign changes or expires, you agree to promptly notify the Reign of such change so that there is always at least one valid Card or Account on file. If any payment subject to this Authorization is returned unpaid, you authorize us to reinitiate such payment up to two additional times (or any greater number of times permitted by applicable network rules). You agree that a service charge (which will not exceed $5.00) may be assessed on all declined transactions. You authorize the Reign to separately initiate a Charge or EFT to your Card or Account for any service charge you are assessed. In the event that a Charge or EFT is not successful, you authorize the Reign to reinitiate the Charge or EFT in accordance with applicable network rules. Authorization to Correct Errors and Modify Payments. In the event the Reign make an error in processing a Charge or EFT, you authorize the Reign to initiate a credit or debit to the Card or to the Account to correct the error. If you inadvertently transpose a digit or make a similar error in providing the Reign with information about a payment method, you authorize the Reign to correct the error after verifying the information with you. Instead of or in addition to any payments described above, you authorize the Reign to create or initiate an EFT to the Account or Charge the Card for any amount and on any date that you subsequently confirm by phone, text message, or email. If the amounts that result from multiplying percentages specified in a Payment Option by the remaining portion of the License Fee that you owe to us include fractional cents, you authorize the Reign to round the amounts up or down to the nearest penny and to make up any rounding overage or shortfall by adjusting the last payment. Authorization to Vary Amounts of Payments. You have the right to receive written notice if any payment we seek will vary from the amounts authorized above. 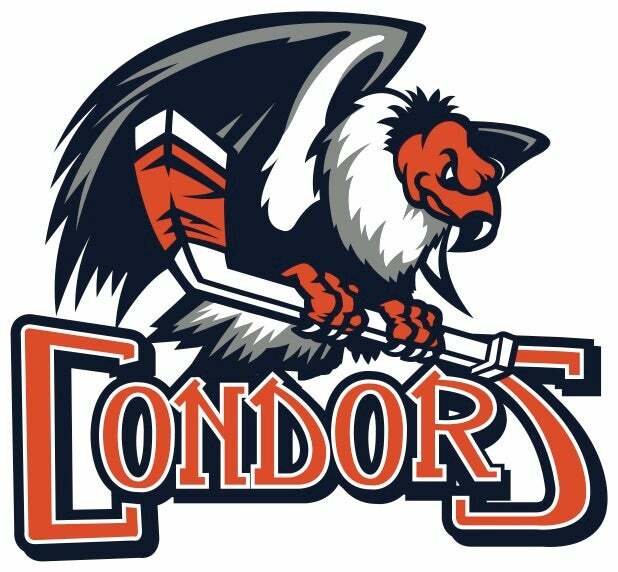 To exercise this right, please send a written request to Ontario Reign Hockey Club, LLC, 901 Via Piemonte, Suite 370, Ontario, CA 91764. Unless you exercise this right, you authorize us to vary the amount of the payment we seek for any scheduled payment without notice, so long as such payment is at least 80% and no more than 110% of the amount you authorize above. Bank-Imposed Fees. You understand that your financial institution may charge you a fee in addition to any service charge you may owe us if any payment authorized above is dishonored or returned unpaid, and you agree that we will have no liability regarding any such fees.